It’s time for spring and sunshine! 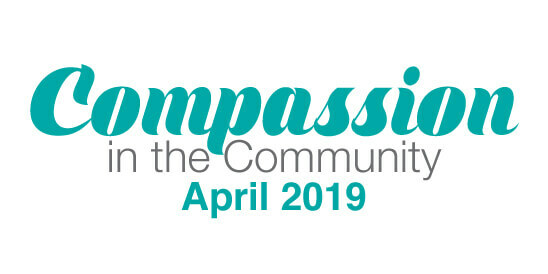 From egg hunts to Earth Day, there’s lots of ways to celebrate compassion this April. Take a moment to meet adoptable animals out in the community, plant a flower in honor of a loved pet, have fun at a festival, or sit back and enjoy a drink at a Yappy Hour. There’s something for everyone, and we hope to see you around! April 1st-April 28th – Enter to win a dog DNA kit! Rescue pets make the best pets, but what breeds make up your best friend? Starting Monday, April 1st, enter for a chance to win DNA My Dog Breed Test by EasyDNA. You can get 5 raffle tickets for only $4.00 at our main shelter on Holland Road and at the VBSPCA Pet Supplies and Adoption Center. The drawing will be held on Sunday, April 28th in celebration of National Pet Parents Day! For more information, please visit our website. We welcome our community to join us as we celebrate the companionship and love that only a pet can provide. Stop by 3040 Holland Road anytime between 4pm to 6pm. Flowers will be available for a donation to plant in our Memorial Garden in honor of a beloved pet. Meet some of Virginia Beach SPCA’s adoptable dogs at Bayville Farms Dog Park, 12pm-2pm, for Cassie Taxter’s Rescue event. Inspired by her own rescue dog, Hudson, Cassie wanted to raise awareness about the importance of adoption for her senior project. We are so pleased that Cassie asked the VBSPCA to participate in her adoption awareness and supply drive. Compassionate people like her make all the difference. Thank you, Cassie! Old Donation School is hosting their spring egg hunt with eco-friendly prizes from 12pm-2pm. The VBSPCA will also be onsite raising awareness on the proper care when adopting a rabbit. After all, rabbits are lifelong pets! Proceeds will benefit lifelong adoptions at the VBSPCA. Click here for more information. Join the VBSPCA for our April Yappy Hour, 6pm-7pm, at Civil Libation. Gather with your fellow animal lovers as we kick back, relax, and wrap up the day. There is no cost to get in, and VBSPCA Members can look forward to extra discounts and drink specials! Visit our website to find out how you can become a member. VBSPCA’s annual Egg & Dog Toy Hunt will take place 10am-2pm at our main shelter on 3040 Holland Road. Festivities include photos, prizes, a bake sale, and new spring products for your pet! Tickets for the Egg Hunt are $10 per family which includes a photo, and Dog Toy Hunt tickets are $5 per dog and includes a toy! Space is limited so please register in advance. Take part in family friendly festivities at Hunt Club Farm in Virginia Beach from 12pm-4pm for the 3rd annual Hot 100 KindFest. Enjoy live music, giant games for adults as well as kid activities, delicious food, plus visit the VBSPCA and check out some amazing pet products! For more information, click here. Interested in meeting your new best friend? Come meet some of VBSPCA’s adoptable dogs at Banyan Grove Apartments between 1pm and 3pm. Our Neuter Scooter will also be onsite. Visit our website for more information on Neuter Scooter services and how you can adopt! My Cat Ate Aliens is a collection of humorous, unscripted tales of animal loving professionals in their everyday careers. Come meet Dr. Natalie Griffin, author of My Cat Ate Aliens, at our main shelter from 12pm-2pm. Get your copy at either VBSPCA location where all profits are donated to the animals at the VBSPCA! Celebrate Earth Day with the VBSPCA! Volunteers will join forces, removing hazardous fishing line and making a difference in our community. We couldn’t do what we do without the support and hard work of our volunteers. For more information and to participate, please email volunteer@vbspca.com. Join American Office and the VBSPCA and the Smartmouth Pilot House, 5:30pm-7:30pm, for a fun evening of modern art, cocktails, and a few four-legged friends! There will be a silent auction benefiting the Virginia Beach SPCA of decorated and reinvented Herman Miller Puppies by local design firms, and the VBSPCA will be attending with some pups of our own! RSVP is required to attend. It’s Pet Valu’s National Adoption Weekend! Stop by Pet Valu on 737 First Colonial Road 11am-2pm and meet adorable, adoptable dogs from the VBSPCA. 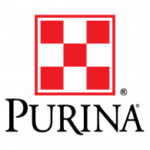 Pet Valu has also kindly chosen the VBSPCA for their PAW Drive for the month of April! Let your dollar make a difference every time you purchase your pet supplies at VBSPCA’s Pet Supplies and Adoption Center. Carrying a full line of cruelty-free toys, treats, supplies, and nutrition, the VBSPCA Pet Supplies and Adoption Center in Kempsville has everything you need to keep your pet healthy and happy. Plus, 100% of the proceeds help animals find loving homes just like yours! Give animals a second chance at finding forever homes of their own when you shop at Second Chance Thrift on Shore Drive, where a portion of all proceeds are donated to the VBSPCA! 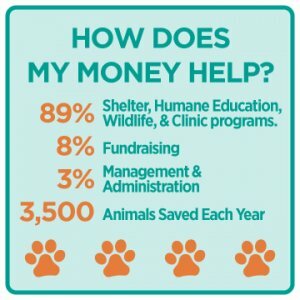 Help homeless animals anytime you buy groceries at Kroger! Simply sign up, swipe your Plus Card when you shop, and a portion of the sale will be donated back to the VBSPCA! Sign up to participate here. You can even support the VBSPCA from the comfort of your own home. At no extra cost to you, Amazon Smile will donate a portion of every purchase to the Virginia Beach SPCA every time you shop. Just visit smile.amazon.com and select the Virginia Beach SPCA as your charity of choice. The Virginia Beach SPCA is incredibly grateful for the continued support from our local community. If you are interested in hosting a fundraiser or event supporting the VBSPCA, please contact Jessica Traynor at jessica.traynor@vbspca.com.